Choosing the right dishwasher and finding a reliable service partner is without question most important! To achieve the best wash results and a maximum level of economic efficiency, however, you should also consider other factors such as local water quality and using the right chemicals. What else should you be aware of? We can tell you ̶ since HOBART boasts more than 100 years of experience in dishwashing. Take advantage of our offer! WE DEVELOP PROGRESS: Further, more, better - continuous development for your success! Innovation means reform, change and improvement. With our manifold machine functions for dishwashers and automated dishwasher systems we make your working day not only easier, but also more economical and ecological. A clean, sparkling glass is your establishment’s “business card“ and one of the first impressions that a guest will receive. All HOBART glasswashers pass this essential test with flying colours – with no need to polish the glasses by hand. The successful HOBART product series can be found working wherever the highest standards of cleanliness are required; tailored to the volumes to be washed and the degree of soiling of the ware. It combines efficient warewashing with ultimate user-friendliness and low operating costs. HOBART offers two different tabling programmes - standard and euro. Whether for delicate glasses or sturdy beer mugs, mocca spoons or gastronomy trays - HOBART has a matching solution for each demand. The HOBART utensil washers are used wherever large wash ware and utensils need to be washed. We can offer you the perfect model tailored to your requirements according to your wash capacity and site specifications. Powerful and economical. To obtain perfect dishwashing results, the quality of the chemicals and the water used in the process are as important as the efficiency of the dishwasher. Consistent high performance can only be achieved if all these components are perfectly matched. HOBART offers not only highly effective water softening units that protect your machine, but also demineralisation systems and reverse osmosis technology solutions that guarantee spotlessly clean wash ware. With the HYLINE hygiene range, HOBART meets the demand of its customers for an all-in-one solution from a single supplier. The HYLINE products are suitable for use in all types of machines, from compact glasswashers to utensil washers. HOBART is synonymous with high quality as well as economical and innovative technology in the professional kitchen. Our combi steamers COMBI and COMBI-plus share the same core qualities. These two product lines are intended for all applications where top performance is required and highest demands are met. Gentle, healthy cooking to preserve nutritional value, natural taste and appearance of the produce. Reduce production times and finish work earlier thanks to the powerful performance of your pressure steam cooker. The cooking suite is the heart of the kitchen, therefore its configuration is vital to allow the most demanding chefs to fully express their talent. 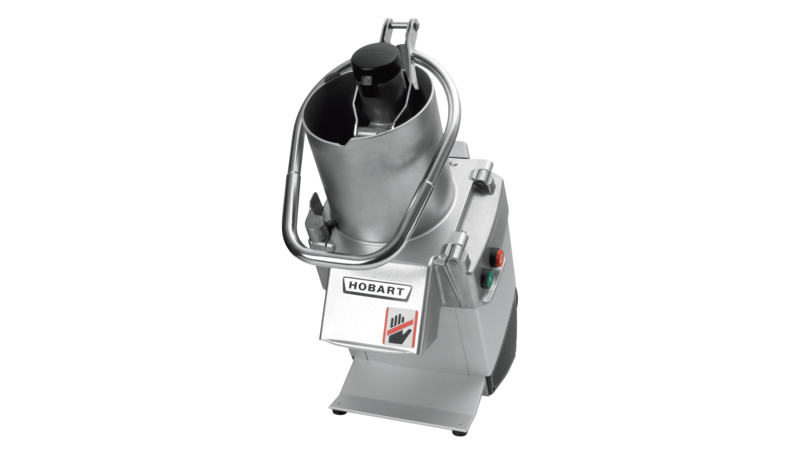 The development of the HOBART planetary mixing machines follows a clear goal: making daily work in the kitchen easier - rational and economical. We know you want everything that comes out of your meat room to look and taste its best, which is why a HOBART Meat Mincer is the right choice for your operation. Slice cheese, charcuterie, deli meats and vegetables with ease and precision! HOBART slicers make light work of your heaviest-duty slicing task. Chop, mince, mix, mince, puree and blend. Your employees' time is valuable. That is why the HOBART peelers work hard to free up hours of hand peeling time by doing loads more potatoes. A mountain of vegetables doesn't have to mean a mountain of prep time! Large-size feed hoppers virtually eliminate pre-cutting and enable the processing of a wide variety of produce. Long vegetables like celery, cucumber and carrots feed easily into the chute and come out perfect every time! By introducing tunnel washers, HOBART set a new standard in the market of parts, tank or cage conditioning. This trend-setting technique is paired with design and high environmental awareness. With significantly reduced energy and medium consumption, the tunnel washer satisfies all requirements of a cleaning process. Would you like to add this product to your comparison list?